To help you prep for creating and helping others find their WORD with your new Maker Kit, we wanted to share with you a few tips! Your Maker Kit has 5 practice tokens for you to try stamping on! Before you start, find a very solid, stable surface. The surface you stamp on makes a huge difference in how deep each letter will come out. We recommend stamping on top of a brick or cutting board if you have one handy. Otherwise stamping on a solid table directly over the leg works great as well. If you're feeling crafty you can even build your own stamping post! Don’t be afraid to put some strength into it and hit each letter a couple times! Take a deep breath, focus, and stamp their WORD with intention! More stamping tips and tricks here. Each WORD is unique with a powerful story behind it. Each piece that you stamp will have all the beautiful imperfections of a hand-crafted item. It's those slight imperfections that make it special, therefore focus your energy on the conversations and don't stress if a letter is slightly crooked. 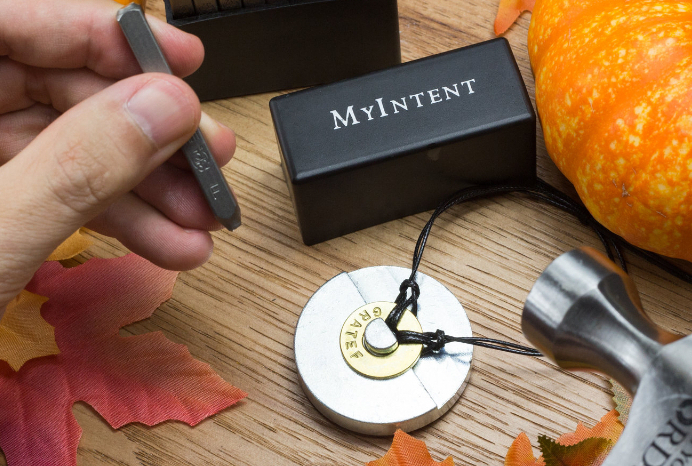 To get everyone excited about finding their WORD, share this brief video of MyIntent on NBC's Today Show! This video shares some background on the power of finding one's WORD. 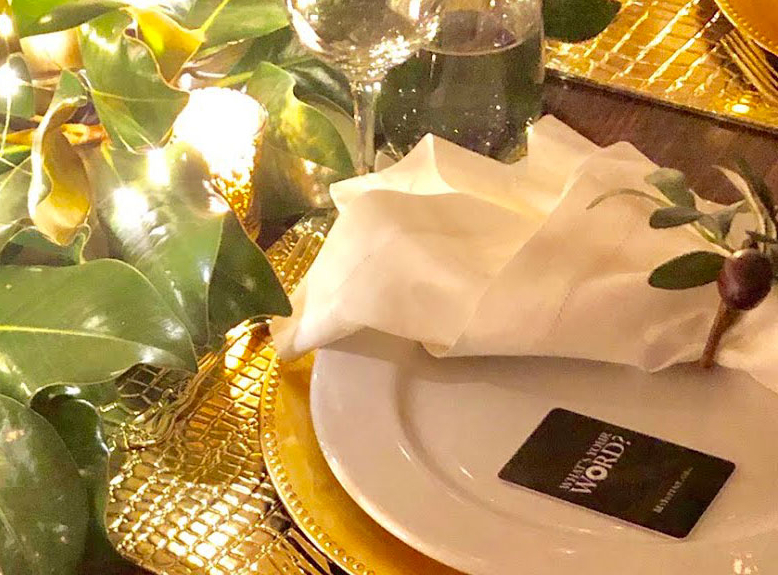 Invite reflection at your holiday dinner by placing a Question Card face down next to each table setting. Then ask each guest to flip their card and read aloud their question. Sit back and let the meaningful conversations flow! Keep a lookout in your inbox Tuesday, 11/20 for a new video from our Founder who will personally guide you on how to help others find their WORD!